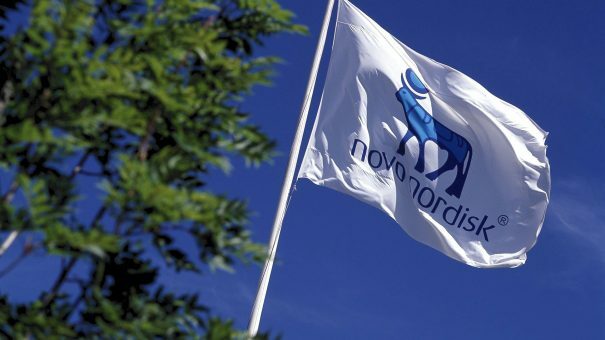 Novo Nordisk hopes that new data supporting the cardiovascular and glycaemic safety of its Tresiba long-acting insulin will prove a game-changer in the US. The arrival of biosimilar versions of Sanofi’s market-leading Lantus will hit sales of patented products in the US, along with price pressure from payers. Sanofi has already cut the price of Lantus to match that of a biosimilar manufactured by Eli Lilly and Boehringer Ingelheim. This has meant that Tresiba has got off to a slower start than hoped in the US following approval in late 2015, where it must also compete against Sanofi’s next generation long-acting insulin, Toujeo. But chief science officer Mads Krogsgaard Thomsen told pharmaphorum in an interview on the sidelines of the American Diabetes Association conference that new data from the DEVOTE trial helps make the case to doctors to prescribe Tresiba. DEVOTE was an FDA requirement, as the regulator had been concerned by a potential cardiovascular safety signal, and asked for a trial ensuring it could match Lantus on safety. It was the first time two that cardiovascular safety of two insulins had been compared in a trial, but it has also generated other data that could prove vital as Novo aims to grab an increased share of a highly competitive market. Data announced at the conference in San Diego confirmed that Tresiba matches Lantus in terms of cardiovascular safety – but it’s a secondary endpoint comparing the performance of Tresiba regarding hypoglycaemia that could prove to be the differentiator. DEVOTE showed a significant 40% reduction in the rate of severe hypoglycaemia with Tresiba, and a 53% reduction in nocturnal severe hypoglycaemia. Hypoglycaemia is a huge problem for people with diabetes, and has been linked to increased risk of cardiovascular problems. The problem is made worse because patients in this state do not realise that they are having a hypoglycaemic episode as their judgement becomes impaired. “It is very important for us because the US label does not mention the word hypoglycaemia,” Krogsgaard Thomsen said. It is unlikely that Novo will attempt to increase the price of Tresiba, which already undercuts Toujeo on a per-unit basis in the US. But the new data could convince doctors, and patients who must cover some of the medication costs out of their own pocket to pay for Tresiba. “It is very difficult politically to ask for more money. [Tresiba] is more expensive but we feel justified based on the hypoglycaemia benefits alone – if you add on other benefits such as quality of life you can accommodate that price premium,” said Krogsgaard Thomsen. Novo will share the data with the FDA to get the new data included on the US label, he added. Over in Europe, the company also has a problem in Germany with Tresiba that could be solved with the DEVOTE data. Two years ago, Novo pulled Tresiba from that market in protest after failing to agree a price with a national body representing health insurance funds. 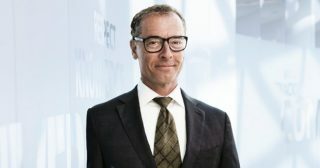 GKV-Spitzenverband wanted to make Tresiba available at the same price as the standard human insulin that has been available in Germany since the 1980s. Now the hope is that the new data from DEVOTE could lead to a fresh analysis from Germany’s cost-effectiveness system, Krogsgaard Thomsen said in a press conference following the DEVOTE announcement. In another briefing, DEVOTE’s lead investigator Steven Marso said he had not expected Tresiba to produce a cardiovascular benefit in the trial as the 7,637 patients involved were followed for two years – enough time for Tresiba to show a numerical cardio benefit over Lantus, but not enough to produce statistically significant results. “To be honest I expected that the two insulins would have equipoise. The thing I was most impressed by was the hypoglycaemia reduction,” he said. After ADA, Novo will hope that other doctors feel the same way.